Vittala temple complex is a 16th century structure that is dedicated to the lord Vittala or lord Vishnu. 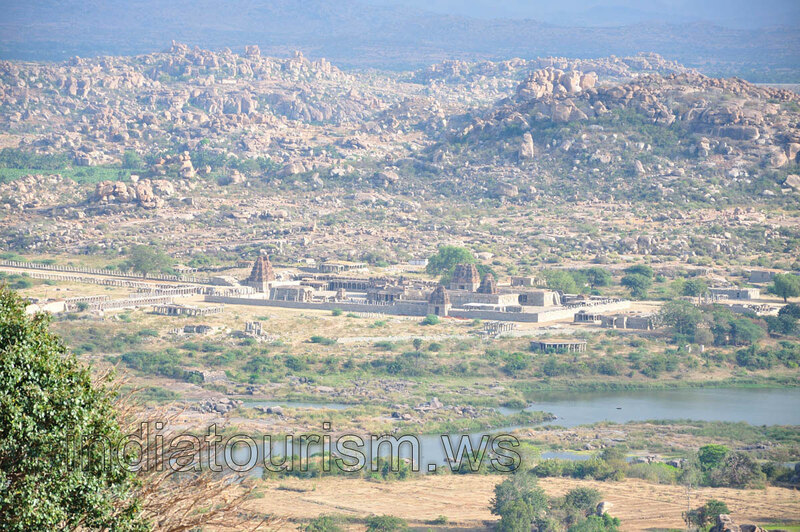 It is a must see destination for all tourists going to Hampi because of its unique carvings and splendid architecture. This temple complex, situated on the southern bank of the Tungabhadra river, represents the original South Indian Dravidian temple architecture style. Vitthala temple was constructed during the reign of King Devaraya II and epitomises the style followed by the Vijayanagara empire. Visitors are instantly struck by the ornate pillars and intricate carvings of the temple. The outstanding feature of the Vitthala temple is Ranga Mantapa and 56 musical pillars. The smaller sanctum is open for general public whereas the monumental decoration can be viewed in the bigger outer house. A chariot is another major attraction that is present in the courtyard of this temple. Located in the east side of the complex, it has stone wheels that can move despite the weight of the chariot. Numerous pavilions, temples and halls have also been built within the temple complex area.